At first glance, most will say this is a 20'''' Nymph with rubber legs. Think again!!! 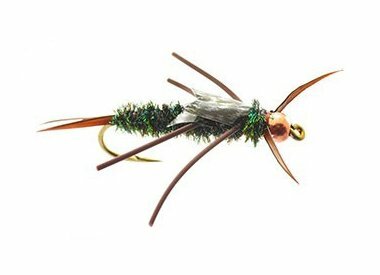 This fly has the mojo of being a World Class competitor with numerous session wins under its belt. Developed by longtime Fly Fishing Team USA member Mike Sexton, this is a real producer here in Colorado and beyond that is really heavy to get in the zone fast, especially in pocket water.